You might have started to think about cloth diapering because you are on a tight budget and you are looking to save money. Disposables are expensive. You might be surprised to find out that cloth diapers can be very expensive, too! I want to quickly share some ways to cloth diaper on a budget – these diapers really are way more affordable than disposables! Here are my best tips to stretching your diapering budget and saving money with cloth diapers. Prefolds are a great choice if you are on a budget. They are a basic flat style diaper except the middle panel is thicker (hence the name prefold) than a typical flat which you would have to fold several times to get the same absorbancy. Please, please, please make sure you get some good quality prefolds. There are some that sold in big box stores that should ONLY be used as burp cloths and not for actual diapers. The prefolds I’m talking about are made out of 100% cotton and preferably organic cotton (or unbleached). You will need to wash and dry these several times on hot to make them absorbent enough to use. Don’t be afraid of these diapers. 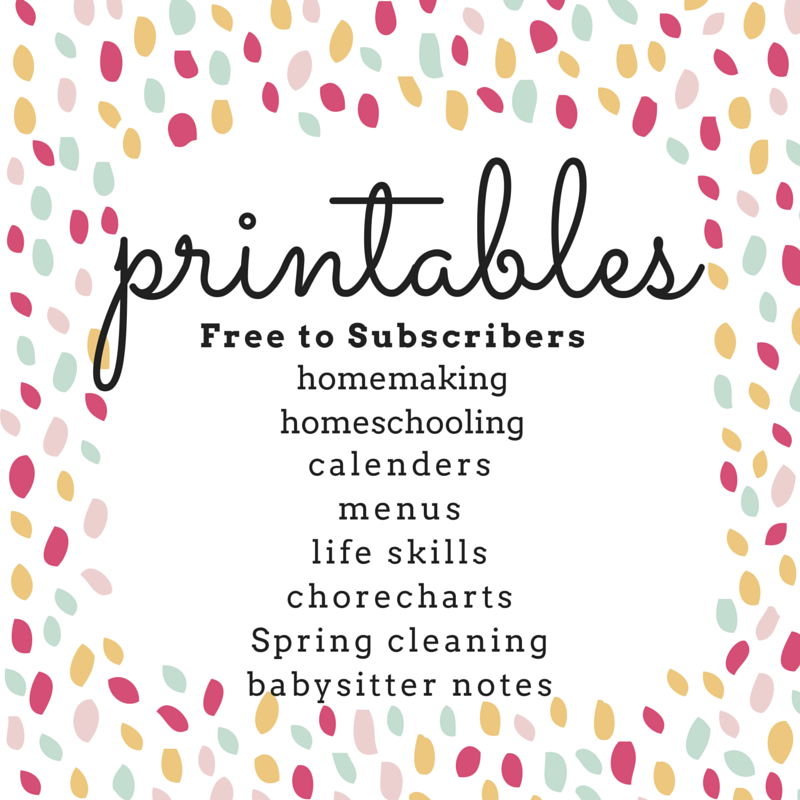 They look confusing at first but they are really a breeze to use. You can do a twist fold with these and use pins or snappis to hold shut …. or…. just simple tri-fold them (fold each side in toward the middle) and lay them in a wrap. That is how I prefer to use prefolds. If you use these full time, for a newborn you should plan on purchasing 2 or 3 dozen prefolds. This depends on how often you choose to wash them. Newborns go through more diapers than most older babies and toddlers. Most new babies get changed 10-12 times a day. Buying 2 dozen should last you for approximately 2 days with washing every 2nd day. An older baby might only get changed 6 times a day, so you might be able to get by with 1 dozen or 2 dozen (if you wash every 4 days). It definitely depends on the baby. These come in multiple sizes from preemie (which I’ve never tried because all my babies were over 7 pounds) all the way up to XL. The newborn is what I start with (good for 6-10 pounds) and they can be used for many things after the baby outgrows them: burp cloths, wipes, cleaning rags, etc. Starting at $25/dozen = $50 for basic starter (2 dozen diapers – these should last appr. 2 months) Small will last from 10 pounds – 15 pounds at $29/dozen and medium will last from 4 months to 20 months at $37/dozen, large lasts from 20-35 pounds (up to 3 years old) for $40/dozen). You could potentially get by with just one dozen diapers after the 4-month mark. (remember you need to add the wraps price $50 + $66 is $116.00). The total cost of prefolds from birth until potty training is $185 plus the cost of wraps which should be around $135 which is $320.00. This depends on how many you really want. You could get by with 4-6 for the newborn stage. The danger of the newborn stage is that most babies have runny poop and sometimes that can get on the cover. You can always rinse the cover off and hang to dry (the inside is laminate) but if it is really too soiled to rinse, you will need to throw it in the diaper pail to be washed. These cost between $12.13.50 per wrap or $66 for a 5 pack. I prefer the XS for newborn phase (they fit nicely under the belly button cord, they have nice gussets and I like the velcro for that age. If you want to save more money, however, get the Duo Wrap Pack of 5 and it should last you all the way until 18 pounds! For about $66 you’ve got covers that could potentially last you 6 months (because the XS are really tiny and will be done in about a month to 6 weeks). So $132 from birth until potty training. 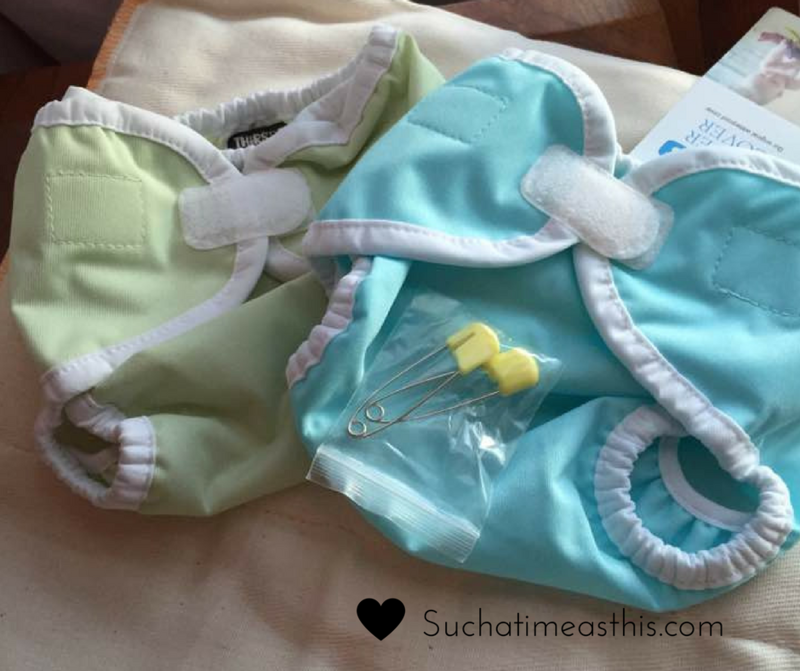 If you are cloth diapering on a budget, this is your cheapest option! I like this if you are too timid to try the prefolds or if you feel like you want these for babysitters or other people who might be changing the baby. Starting at just $6.50, these are a really good price for this convenience. These would be the same as the prefolds … depending on age of the baby and if you are exclusively using this type of diaper (or are you using prefolds, too?) You could buy 1 or 2 (for the diaper bag) or you could buy 24. Price for fitteds ages birth – potty training is apprx. $600 (add another $138 if you need the largest size for 2-3 year olds) plus $132 for wraps… $732.00 ($870 adding in largest sized diapers). One-Size Diapers really do save money in the long run because they will last from birth (depending on how big your baby is) to potty training (depending on how big your child is when potty – trained … I would say on average most OS Dipes last from 8 pounds – 30 pounds). These are a little bit higher investment in the beginning but they last and last. All-in-ones and pockets are some of the EASIEST diapers out there to learn to use (or to pack in the diaper bag or leave for the sitter). 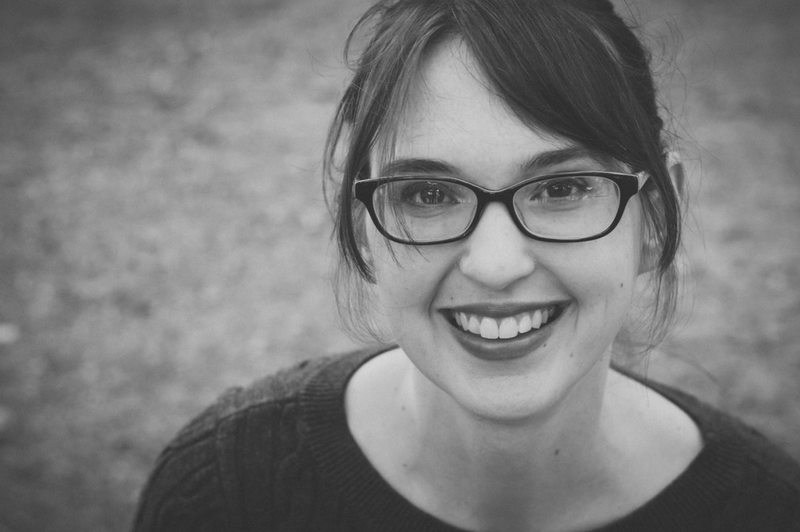 Are you going to use these full-time or only for the diaper bag/baby sitter? If using these full time, you won’t need wraps or prefolds or fitteds. 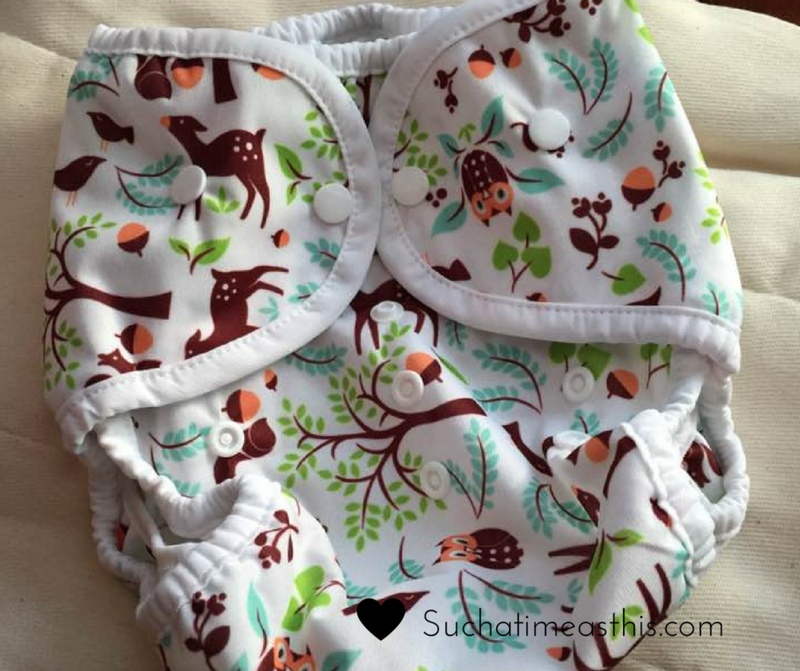 Buy 24 of these at $16.95/BumGenius or buy a set Thirsties Package , Snap One Size All In One, Woodland Collection Mountain at $98/5 pack which equals about $400-470 for 2 dozen of these. These diapers are easily sold, they will last until potty training, however, they are pricey. Most cloth diapers have a really good resale value. So, even if you make an investment in a bunch of BumGenius from day one and want to sell them two years later, you should be able to. I’ve ended up selling off so many diapers that my children outgrew or we no longer used. From Craigslist to Facebook and even some message board (like diaperswappers.com) there are a lot of Buy/Sale/Swap sites for cloth diapers, believe it or not! 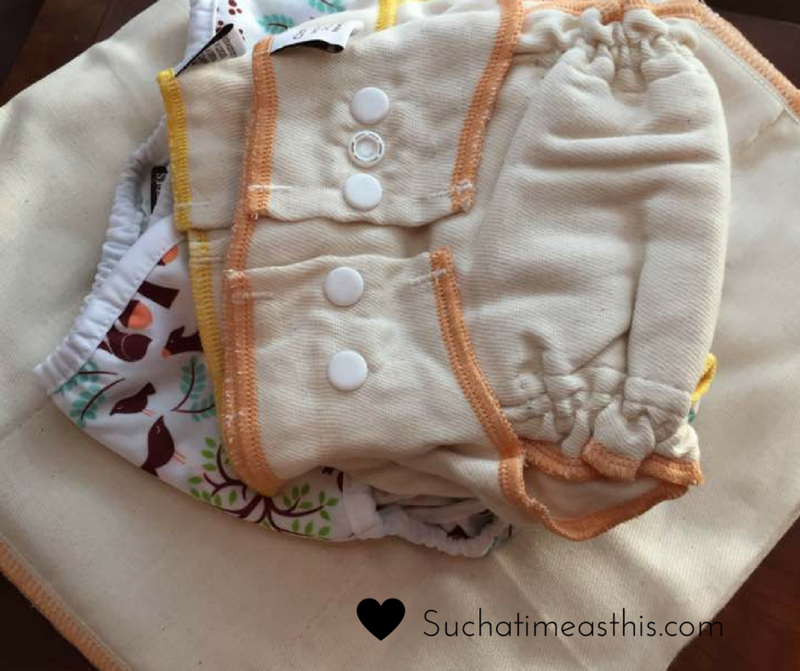 For cloth diapering on a budget, you can’t beat the resale value of cloth diapers! As you can see from my math above … prefolds are by far the cheapest when used full-time. One-Size are the next cheapest. The difference is the amount of investment you must make all at once. If you purchase a one-size and you have to buy 24 of them, you are making a huge ($400 plus) investment in the beginning wrather than spreading it across 2-3 years. A lot of it depends on what you are hoping to get out of cloth diapering and what things you value. Some people love the idea of cotton against baby’s skin and others would rather the ease of an All-In-One. 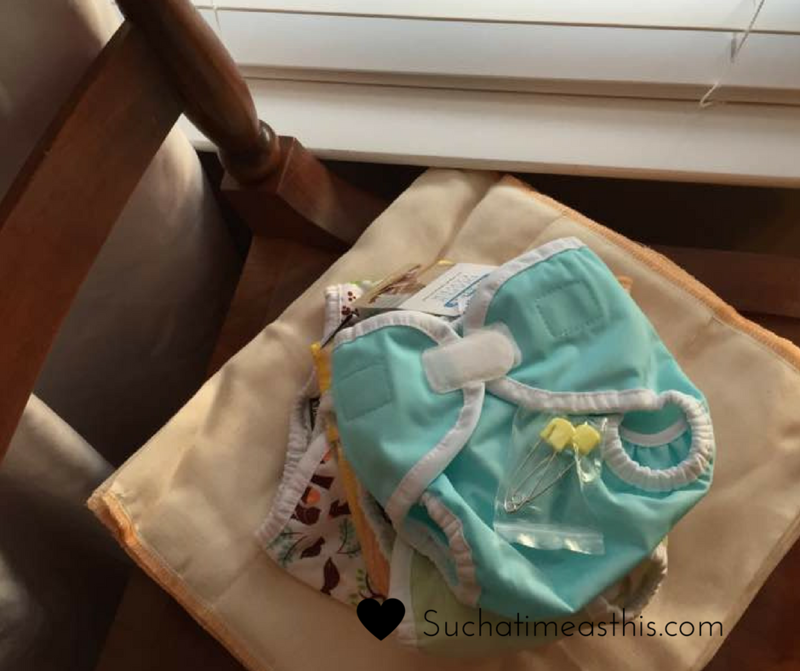 What diapers do you love for cloth diapering on a budget?